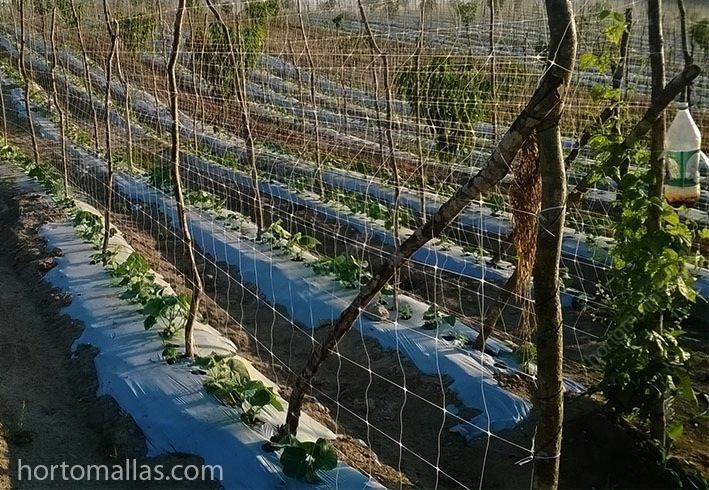 For the agricultural sector of a country’s economy, the segment of organic vegetables as a result of using cucumber trellis has a significant impact by its contribution to the generation of employment in rural areas since training cucumbers to trellis netting results in a better product. The cucumber is an important vegetable. In spite of having little nutritional value, being almost 100% water, it is rich in vitamins A and C besides containing sulfur, for which it is widely used in the cosmetic industry. The cucumber is eaten a lot because it is a good salad ingredient. This document comprises the first stage of the SAGARPA–CONACYT 2009-II-126183 project (Mexico) and information is presented about the production and commercialization in national and international markets of produce such as the cucumber with the aim of aiding decision making about agricultural development that is protected by a competitive environment and that is profitable (by using cucumber support). This will create jobs and better income for produce growers in the northeast region and especially in southern Baja California. exportaciones e importaciones del producto así como la situación pasada, presente y futura de la demanda y oferta de cada país.